Top > Study > Internet shopping > When to be swindled of Internet auction? ■ When to be swindled of Internet auction? Swindle is a crime and it is in case of“ When you deceive someone and you made he grant money and article”by Penal code Article 246 Clause 1. You may talk to the police when that may be swindle. But you can't to call one to account without knowing the swindler and it is difficult to trace the swindler. It will not answer easy if you ask the provider to partner's request for disclosure only he may be swindler. And a third party without knowledge can't claim for cancel a gesture by swindle. Moreover, in this case it can thought that annulment of a contract by a breach of contact (default). Countermeasures of victim can give such a thing that you give a report of damage to the police with mails until now and the account number that you transferred, and report to the auction site for you had damaged and you give a report of damage to the police. 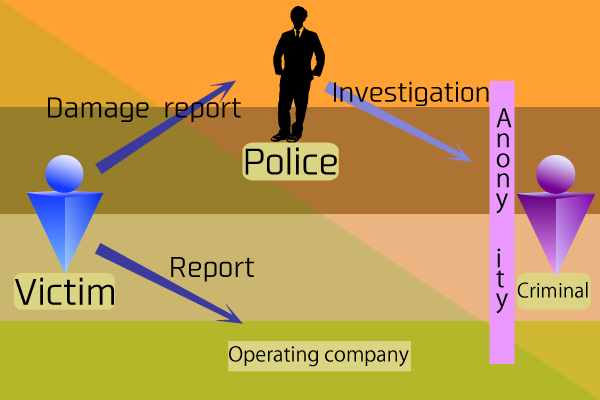 Later, it takes that whether the police operation it, but there are cases that a criminal hasn't arrested by anonymous. And there aren't grantees that the price refund you if the criminal arrested. In case of the criminal hasn't intention that he is going to refund you, you haven't a way without the way to exact by suit or execution, and it costs you to lots of money and much labor, and if he hasn't much money you aren't paid by him if you demand payment. It is important that you should defend yourself and check your partner whether he is a reliable man or not from different angle for the sake of you don't getting into trouble like this.